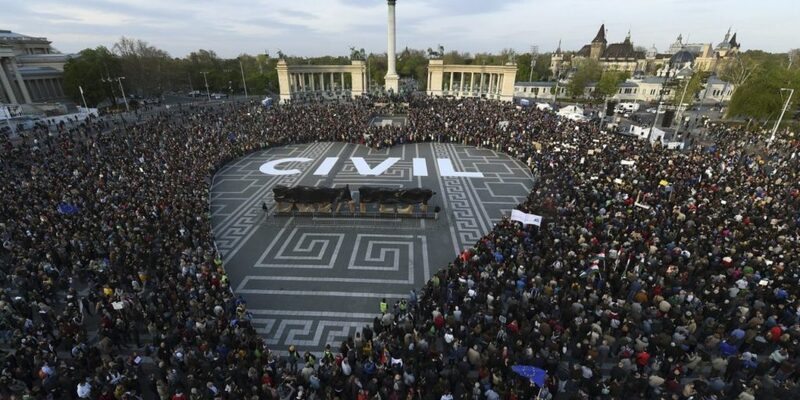 On 13 February, the Hungarian government released a new set of bills targeting Civil Society Organisations working on migration. These bills – referred to as the “STOP SOROS” package – follow last year’s bill on NGOs that required NGOs that received over 24,000 € funding from abroad to register on a specific list and publically label themselves as “foreign-funded” NGOs. This law was challenged by the European Commission via an infringement procedure and is to be judged by the European Court of Justice. While last year’s bill was a “shame and blame” operation, this year’s package is much more a “starve and strangle” operation. Licensed organisations would have to pay 25% of their foreign funding as a tax or face a fine of 50% of such funds. The Interior minister would be allowed, on the grounds of protecting national security, to ban anyone involve in assistance to refugees from border areas. Seeing the hugely detrimental effect of these proposed bills on the NGO sector, the EHF decided to join an international statement of solidarity to Hungarian NGOs. You can read the statement below or on the website of Amnesty International. For more information on the issue, read the outstanding summary of the Hungarian Helsinki Committee and the Hungarian Civil Liberties Union. On 13 February 2018, the Hungarian government tabled to Parliament a proposed legislative pack of three laws, commonly referred to as “Stop Soros”. The newly proposed legislation would further restrict Hungarian civil society ability to carry out their work, by requiring organizations that “support migration” to obtain national security clearance and a government permit to perform basic functions. The proposed law would also require organizations to pay a tax of 25% of any foreign funding aimed at “supporting migration”. Failure to do so, would subject them to steps so serious that they could lead to exorbitant fines, bankruptcy, and the dissolving of the NGO involved. As defenders of rights and freedoms, we want people everywhere to be able to speak out without being attacked, threatened or jailed. Open debate on matters relating to government policies and practice is necessary in every society, and human rights defenders should not face criminalization for voicing their sometimes dissenting voices. Countries need to put laws in place which keep human rights defenders safe from harm, rather than introducing repressive laws that aim to silence those who speak out.